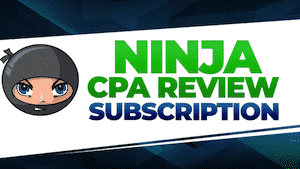 CPA Exam Review › CPA Exam Forum › Accounting Careers & Designations › Accounting Careers (Public/Private/Industry) › Career Advice for tax? This topic contains 12 replies, has 5 voices, and was last updated by ultrarunner 1 week, 4 days ago. I have been working for my father's construction company for the past 5 years doing all the bookkeeping and accounting, and other admin tasks. I worked for 9 months at a tax resolution firm but got let go due to “performance” (though my 6th month review went good, and I have been told by staff and my direct supervisor I was doing well). I found a job doing tax prep for a sole practicioner in my city. I have my EA designation, and Im working towards my cpa. The returns Im doing are high networth indivduals, multi-state, and business returns. At this point, I believe I qualify to get a job as a staff accountant or tax accountant at local firms, but im just not sure if I should wait another tax season, or try now? 1st goal should be the CPA. If your current job gives you enough downtime to be able to study more and focus on the CPA exam, then I would ride it out until you are licensed. Also keep in mind you will need experience under a licensed CPA to get your license, so if you don't have that now find it soon. What is your ultimate goal with CPA? I assume that you are self employed? As Recked said, you will need to have 1 year experience under CPA to qualify after you pass it. Your father bookkeeping and accounting will not qualify you being you were not under CPA, was the 9 months tax resolution under CPA? Unless you want to drop doing taxes and want to do accounting , i would stay with EA. I personally would trust EA to do my taxes compare to CPA. 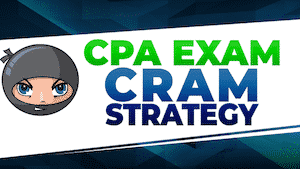 If you really want to do get CPA, there is no reason to wait if you can swing it now. Remember that you get 18 months to pass all 4 test from the day you pass the 1st one. Speaking of the EA, I wonder if it's worth it for me. I'm 37 years old. I passed each section when I was just a shade short of 36. I've only been able to get part time Accounting gigs. I have compilation experience (QuickBooks and with VITA) and individual taxation prep experience. I don't have a BS in Accounting but took the 68 additional credits required to get to 150. I'm about halfway done with my MST from a state school in New York. I can only afford one class at a time. So based on that, should I pursue an EA? I'd ultimately like to work in Tax full-time. I feel like I need to offer more to employers given my age and experience (career change from paralegal). Sorry to hijack the thread. But I was curious if pursuing it is helpful in my situation. Thanks everyone for helping each other here. Do you live in small town? I ask because in this economy with accountants unemployment being very low, you should be able to find full time job. CPA is seen as higher license compare to EA. There is no education requirement as far as I know for EA. You just pass IRS test and you become EA or you work for IRS for 5 years and you become EA. To me it really make no sense for you to get EA. Thanks for responding @Silent. No, I live in eastern Queens. Honestly I feel like because I'm changing careers in my 30s and competing with 20-somethings with more (intern exp with bigger firms), I need to do something more. 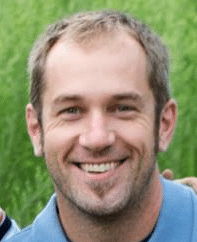 I am in my late 30's, have degree in finance and didn't do accounting till very recently. Just apply, you should be able to find something. Make sure to put on resume that you passed all 4 test. With end of tax season, a lot of companies are too busy to really hire right now. Look up job fairs that are scheduled on campuses and go there and to talk to them in person. Of course. I apply (let them say no). I have a completed CPA section after my name. Also, Finance is a distant cousin to Accounting. My degree is in Journalism. Ive gone to MANY NYSSCPA meetings, gone to the career fairs at BOTH my undergraduate school and MST fairs. I have a 3.8 so far in graduate coursework. It's good advice. But I have to standout from the pack. The exams by themselves haven't been enough. 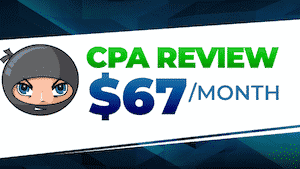 I am not sure that the EA will provide you much benefit but compared to the CPA it should be considerably easier, and much cheaper. Can't hurt to add it, but I wouldn't really count on it providing much benefit. Coming from someone that is both EA and CPA, the most important thing is gaining experience. More experience will make you more valuable. Experience trumps all. I just need help getting my foot in the door. I'm not even trying the Big 4, plus I like smaller companies anyway. I just finished my time yesterday as a part time general ledger accountant. Most of them are EAs. They invited me back for next tax season but they don't have a budget for full-time. Next tax season you can always do H&R Block. Or try that TurboTax remote CPA help thing. Some experience is better than no experience. Post tax season you'll have a hard time landing a job in tax, but you figure the bigger firms will be recruiting in spring/summer to bring people on in September for next busy season. Keep grinding. I have 2 stints with VITA. I just missed H&R Block's training session. Maybe next year. I'm not opposed to audit in the interim or even for a nonCPA firm. For now, my goal is to get the letters as quick as I can. I'm just not sure how. Thanks. I'll keep trying. Let them say no. 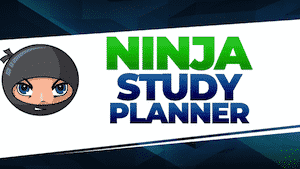 Hi Mike, If you are in a MST program, just focus on the program and keep a good GPA. I was much older than you when I looked for a tax job. I got multiple offers via campus recruiting, and now I am working in tax in a public accounting firm. When I was interviewed, it was obvious from my resume that I was much older than most of the candidates, but good firms do not care as long as you can show your passion and willingness to learn and work. I wasn't the only ‘older' candidate to get hired. I think you should keep trying. Fall recruiting season is the best time to get a tax job. All the best.